Located on the Pacific coast of Isla los Brasiles in Nicaragua, the lodge is a beachfront Eco-resort. 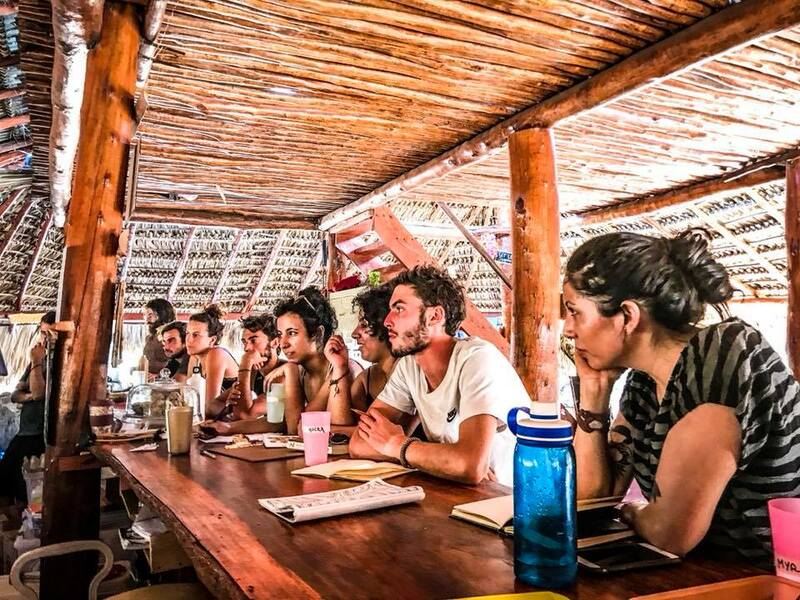 Following the principles of permaculture, Carpe Diem was built over the last 4 years by over 500 international volunteers from our natural building school. Over 90% of building structures were built with natural or recycled materials. We are solar powered and use water directly from man-made wells on site. Half of the 1 hectare piece of land is forested and serves as a camping area and fruit farm, while the front is a stunning sunny area where guests can enjoy the main community space. Compost toilets and showers are scattered throughout the premises for your convenience. ​​​The main building is a 2 floor rancho with a reception area, a fully functional kitchen, a bar, a living room, a library and a chill lounge. We are able to sit up to 40 people comfortably at the same time. ​The yoga platform boasts 85 square meters of hardwood floors and is able to fit 32 people comfortably. It also possesses 4 high rigging point (6.5 meters). Its elevation allow you to keep the dirt out while giving you a stunning view of the ocean. ​We possess 3 types of accommodation. Our beach Cabanas are beautiful, spacious and natural. The walls are made of cob (mixture of clay, sand and straw) and the roofs are made of palm leaves. Because of the material we use, the temperature inside is naturally fresh (especially in Nicaraguan heat) Every room is furnished with a double bed, nightstands and a wardrobe. If you like the idea of falling asleep with the sound of the waves and waking up with the sunrise, our open air dormitory is perfect for you! Plus you get a stunning view of the beach and the Pacific Ocean. Lockers are also available to put your valuable belongings. 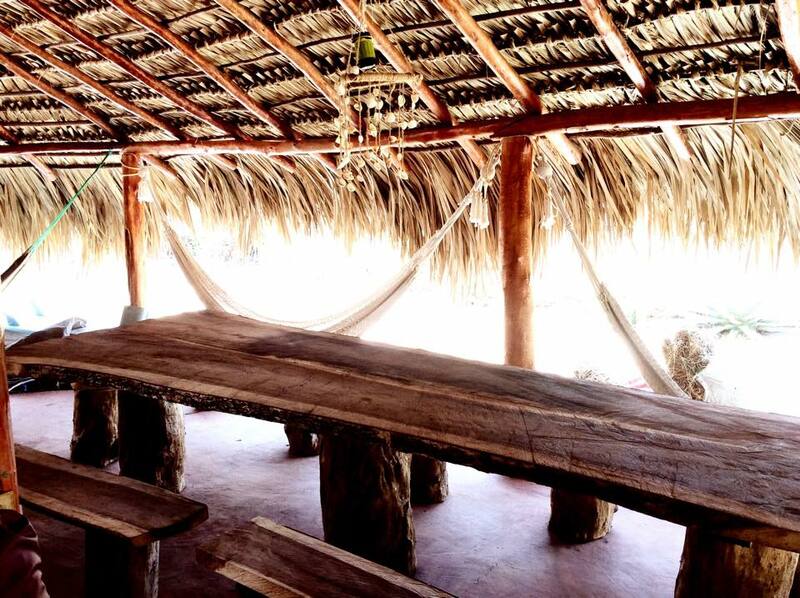 ​The Venue is located on semi-deserted paradise island named Isla los Brasiles. There is no electricity, no roads, no car. Just the connection with the nature, the ocean, the local communities of Sutiaba and yourself. Even though we are in the middle of the nature, we are able to make it to Leòn (a beautiful colonial town with all services) in less than an hour. 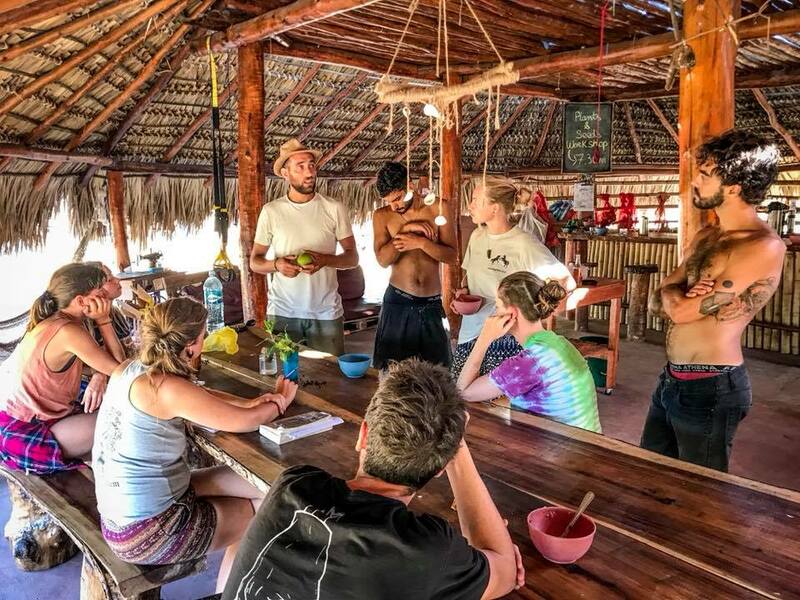 ​Apart from acquiring important natural building techniques, guests can enjoy activities such as sunset volleyball, surfing, horseback riding, yoga, acro yoga meditation, flow arts and a variety of workshops etc. We also also dance our butts off and drop into ceremonies when appropriate. We provide services including ground transportation, group tours, surf lessons and rental, massages and laundry service.